The Unexpected Up Side to Selling My Stuff – Leaving it better than I found it. I’ve gotten rid of a lot of my stuff over the last few years, but there were some items I held on to with the best of intentions. Of course I’ll get back into snowboarding! Of course I’ll take golf lessons again! You get the idea. I’ve been hanging onto some things, thinking I’ll get back into using them someday. Over the last couple weeks or so I decided to sell some of those things to get my journey to become debt free accelaerated. I was only looking at it as a good way to get extra cash quickly. But there’s been a surprising up side to doing this. 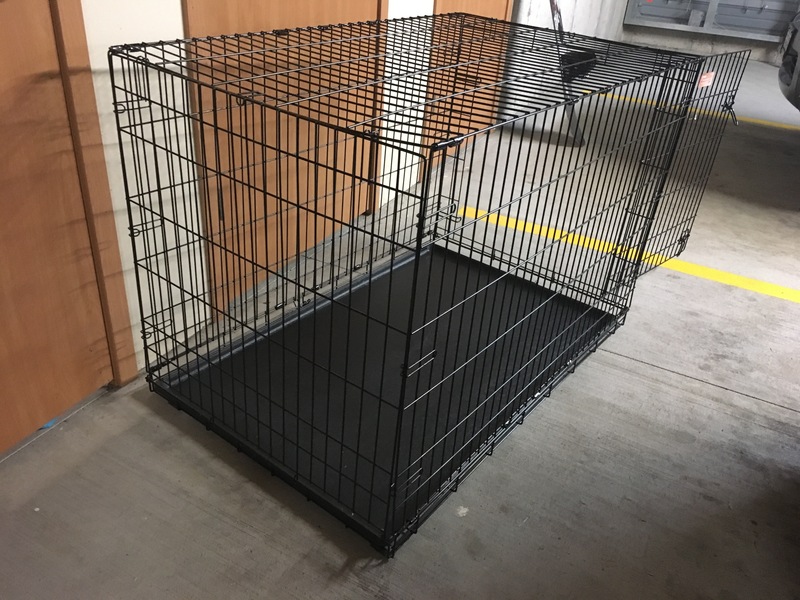 First item sold: Nixon’s old dog crate. He was a huge dog so he had a monstrous sized crate. A really nice girl named Jen met me in a parking lot to pick it up. She introduced me to her beautiful dog, and then told me that she’d been using a friend’s crate, but now had to give it back to her. She couldn’t afford a brand new crate in the store, so she was really happy to find mine on-line. 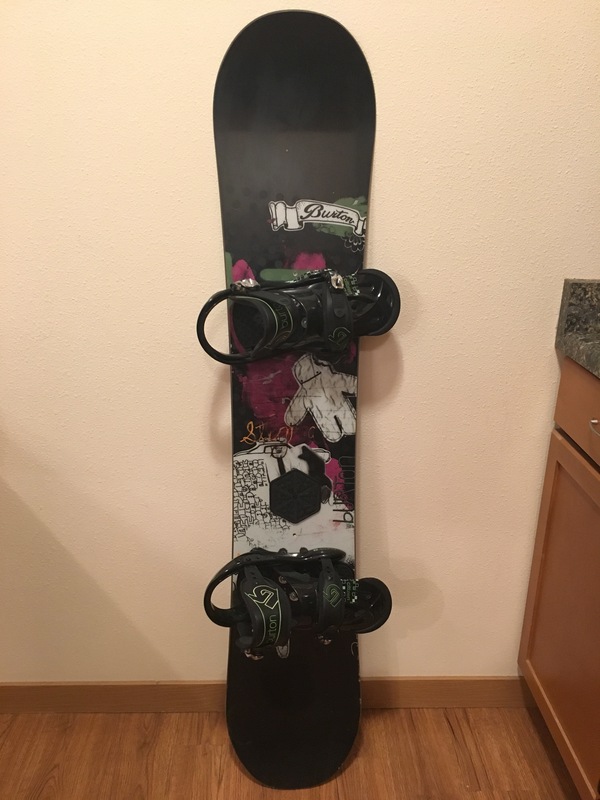 Second item sold: My snowboard and bindings. 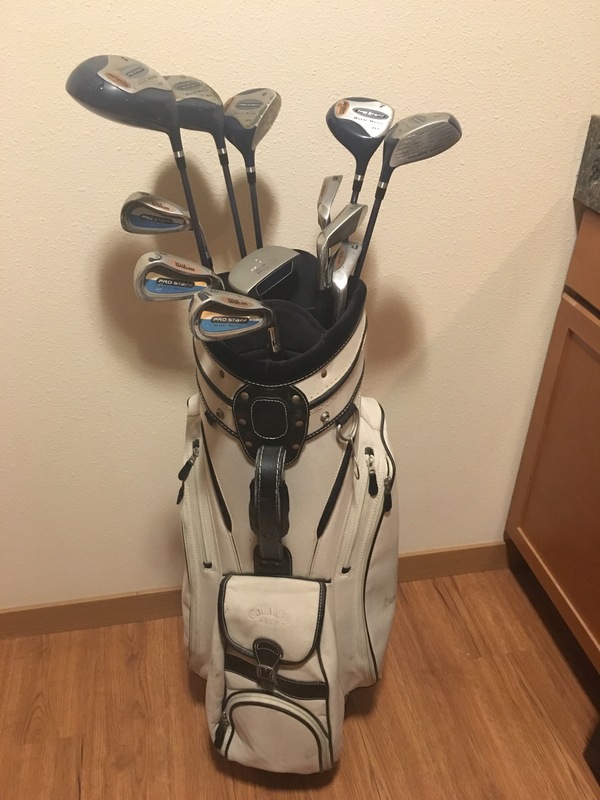 Third item sold: golf clubs and golf bag. I had great intentions of becoming a golfer, mainly because I thought it would be a good way to move up the food chain in banking. Well, that didn’t pan out. A person like me with zero patience, and a lack of willingnesss to spend 5 hours at a time on a golf course isn’t a recipe for golf greatness. A man named Ernie was interested in the clubs. When we met up he instantly had a very wam smile and was very eager to see the clubs. He looked to be around 60 years old and was checking out the clubs as a gift for his wife. He told me that she is planning to retire in the spring and he is hoping she will learn how to golf. Ernie paused, looked at me square in the eye with the softest expression and said ‘I just want to spend as much time with her as I can, so I hope this will help me do that.’ Isn’t that the sweetest thing?? This guy was oozing love for his wife. I’m so glad I could help. These things had just been taking up space in my storage unit, and now they are bringing joy to other people! It felt great to see the happiness on these three people’s faces, and to know that these things would be used and enjoyed by other people. I didn’t expect to hear people’s stories of why they were buying these things, but I’m glad I did! As for an update on my debt free journey, it’s been a really productive month! I’ve paid down $1,500 in principal, and squirreled away $400 towards my emergency fund! I also opened a new bank account that is just for my emergency fund, so that’s a step in the right direction. I also booked a weekend getaway for my bf’s birthday and paid cash that I had been budgeting for! It felt great to be able to do that. Being on a budget has been really empowering! (I bet you didn’t expect to hear that!) A quote that I read in the Total Money Makeover really summed it up. It is refreshing, thought provoking and unique . . . Just letting yourself shine through. Thank you Kathleen! I’m so glad you enjoy it!